Report by Web Editor, Al Byrne. 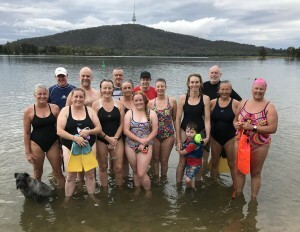 In what has become something of an Australia Day holiday tradition for the Vikings, a keen group of swimmers and families of swimmers again made their way to the shores of Yarralumla Bay, Lake Burley Griffin, on Monday 28 January 2019 for an afternoon swim followed by a picnic at the beach. While we didn’t initially get to enjoy quite the sunshine that we’ve seen in previous years, it didn’t faze the fifteen or so swimmers (including our one four-legged swimmer – Rosie – Nicolee’s excitable Schnauzer). This year, our safety-conscious prez, Greg Gourley, even decided to forgo the swim himself, and made the lap of Spinnaker Island by kayak, acting as our safety boat. Whether he liked it or not, he was ‘assisted’ at random intervals by Rosie! In an innovation aiming to assist the navigationally challenged among us (ie: those of us that can’t swim in a straight line – your correspondent definitely included! 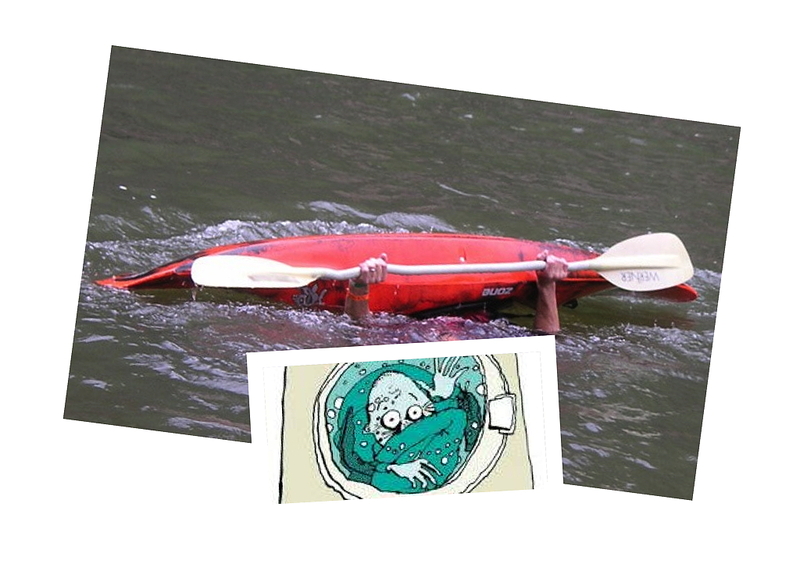 ), Anne even dragged her fluorescent orange safety float behind her for the whole swim. Thank you Anne! As always, great company and a picnic accompanied by a glass or two of holiday cheer, made for a wonderful relaxed afternoon. Report by club Prez, Greg Gourley. 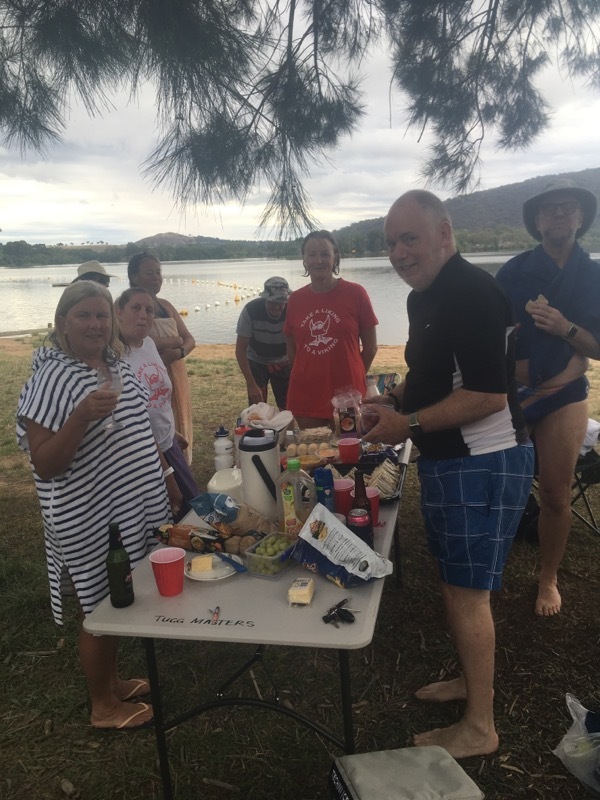 After a big night of pre-race preparation at our annual Awards Night and club Christmas party, eleven Vikings (five solo swimmers, a relay team of two and a relay team of four) were brave enough to front up for the Sri Chinmoy National Capital Swim in Canberra’s Lake Burley-Griffin. 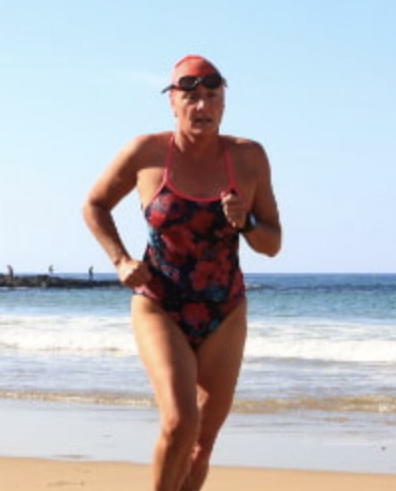 This is an annual event swum over a huge nine kilometre course passing Government House, Parliament House (old and new), the National Museum, National Library, National Gallery and the High Court. This one is definitely an iconic Canberra event! There had been some discussion at the Christmas party regarding the recent rain and cold weather, the water temperature reports and the weather forecast. The unknowns meant that wetsuits were definitely worth some careful consideration! Competitors, their support paddlers, family and friends, and even a few dogs, met at Scrivener Dam at around 7:00 AM, in anticipation of the solo race start at 7:45 AM and teams start at 8:00 AM. At this point, the weather was sunny and calm. However, casting an eye to the west, towards the Brindabella Ranges, revealed an approaching weather front. 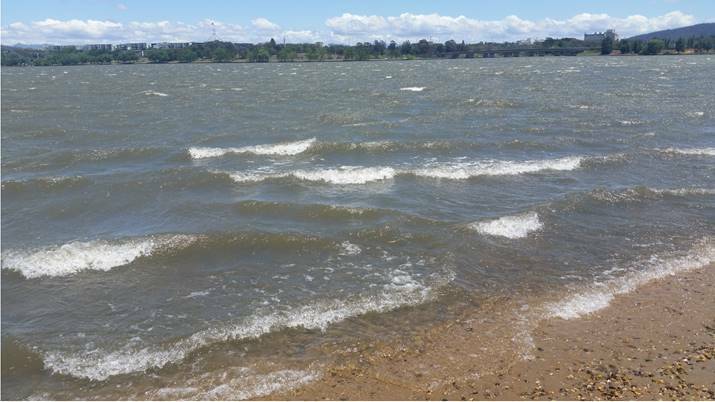 During the second leg, at approximately 4 km into the course, the imminent arrival of that front began to be felt – with significant wind waves starting to form. During the third leg the impact of the weather front was well and truly felt! Donna Campbell, acting as support paddler for Nicholas Grinter, capsized her kayak in the rough conditions! A thoroughly drenched Donna quickly recovered to her rightful place, and bravely pressed on! For the swimmers the wind waves made it feel as though they were swimming in a washing machine. For the paddlers; it was like preparing for an Olympic ‘white-water’ slalom! 1. Nick Grinter, who won the solo men’s event, despite losing time when paddler Donna went for her unexpected swim! 3. 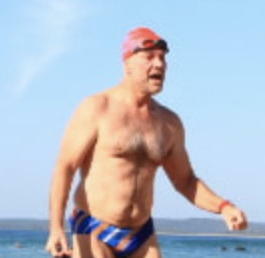 Maria Castles, Kirsten Madsen, Bill Eversham and Kris Kennedy – our team of four – who completed their first 9km team open-water swim (in the worst of the conditions). Results and times for all Vikings swimmers are below. The Sri Chinmoy event page has lots more photos and full results. Our club has regularly had a very good showing at the summer Sri Chinmoy lake swims. Check out the details for the next event, scheduled for Sun 24 Feb 19. Hoping to see you there!